I found this documentary fascinating. It follows the experience of 8 Westerners with various degenerative diseases (diabetes, prostate cancer, alcoholism, depression, breast cancer, and Parkinson’s) into the Amazon to work with traditional healers. 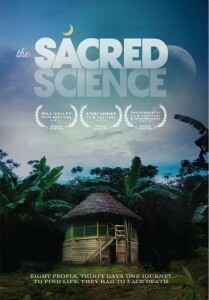 The film evokes questions about our Western assumptions surrounding health, healing, and death. If you are in the mood for a provocative and awe-inspiring journey, check it out.